It's day four of the Papertrey Ink Countdown and my second post of the day. Be sure not to miss my first post. For today's second post I've got some more Background Basics: Circles to share with you! So let me get to it... I'll be showcasing the large dot with you today. This large dot background strips consists of three rows of dots and (just like all the other strips included in this stamp set) features an extra wide base which makes perfect placement and lining up a breeze. For this first card I started by stamping the Harvest Berries sentiment in Raspberry Fizz. Then above and below it I stamped rows of dots in gray ink. 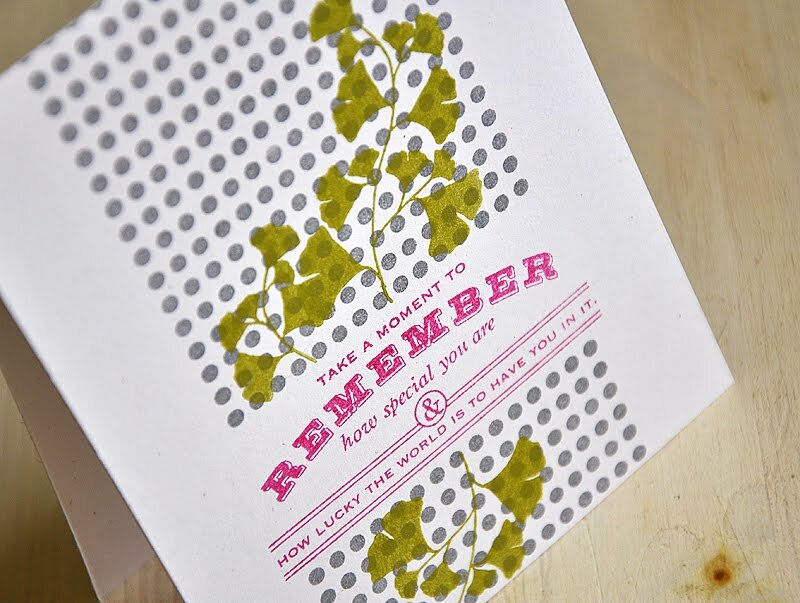 Then finished the card off with a few Simply Chartreuse ginko leaf impressions (also from Harvest Berries). 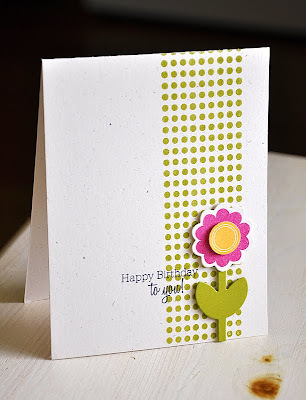 Lastly, I paired Background Basics: Circles with Flower Fusion #10 and the new coordinating dies (please note that both sets and the dies will be available for purchase through Papertrey Ink beginning November 15th). 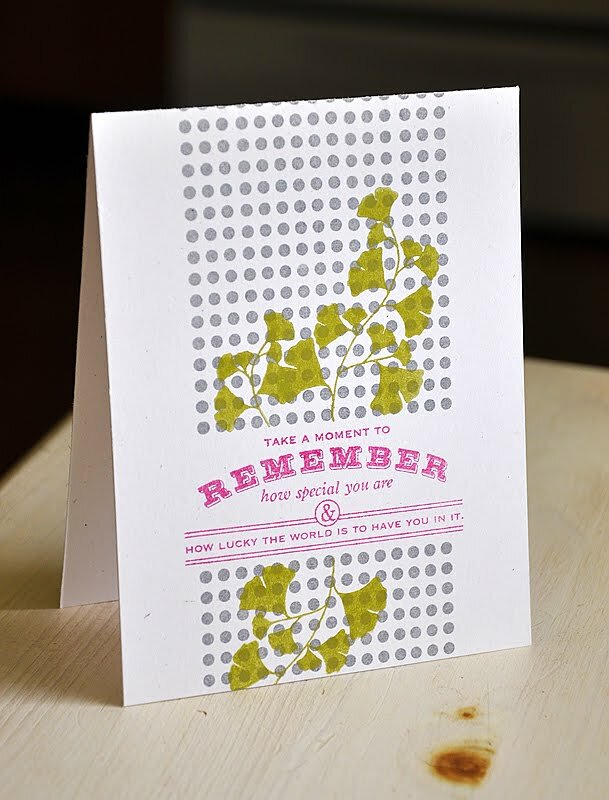 Started by stamping dots along the right side of the card base, in Simply Chartreuse. Die cut the stem from Simply Chartreuse cardstock and attached with dimensional adhesive. Topped the stem with a boldy colored flower, using Raspberry Fizz & Summer Sunrise. 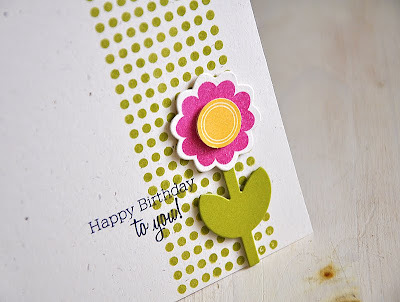 Finished the card off with a Flower Fusion #9 sentiment. Well, that's all I've got for today. I truly hope that you've enjoyed! I'd love to know what you think, so please share! Now, be sure to visit Nichole Heady, Heather Nichols, Dawn McVey, Beth Silaika & Melissa Bickford for even more countdown goodness. Love the simplicity of the circles/dots and how they really complete the cards you showcased. Perfect for man cards which are always the hardest for me. Great job! Love these! Those dots are really lovely! Just the right size! Especially with the pretty flower! great cards!...so versatile too! love how you creatively mix and match sets!